NEW PRICE!! GREAT LOCATION!! 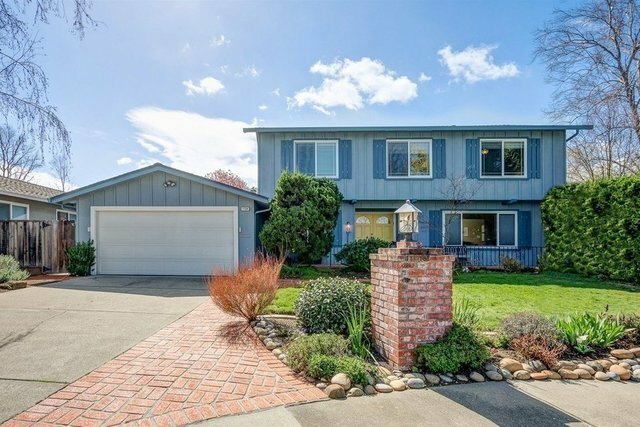 Located in Desired Pleasanton Valley this Wonderful Home offers 5 bedrooms and 3 bathrooms. The Spacious Master Suite has a retreat which could be a 6th bedroom. One Bedroom & Full Bath downstairs. Remodeled Master Bathroom w/Cherry Cabinets, Granite Countertop, Dual Sinks, Mirrored Closet Doors, Pocket Door and Walk in Shower, Toto Toilets, Updated secondary Bathrooms. Light & Bright Kitchen w/Double Ovens, Gas Range, Walk-in Pantry and Eating Nook. Formal Living & Dining Rooms, Family Room w/Gas Fireplace insert, Spacious Laundry Room. Brand New Roof, 6 Solar Panels (owned) - Low Utility Bills, Shutters, Crown Moulding, Paneled Doors, Wood Flooring & Engineered Wood Flooring, Skylight, Newer Furnace, Temperature controlled Attic Fan, D/P Windows, Newer Fences. The Beautifully Landscaped Backyard with Crepe Myrtles, Cherry Tree and Tulip Magnolia helps to keep the yard cool in the Summertime heat. The golden crushed granite walkway leads you to an Oasis of Calm while nature surrounds you with Purple, Orange, Blue, Yellow and Red Blossoms welcoming Hummingbirds & Butterflies. Close to schools, parks, post office, aquatic center and shopping. Close to Historic Downtown Pleasanton. GREAT PRICE in a GREAT NEIGHBORHOOD!! DON"T MISS! !